The good, the bad, and the PMG. I wanted to post a comprehensive update about Chamberlain this time. We have started the blenderized diet (BD), which has been amazing for C. He is getting real foods, not the very manufactured formula any longer. It very interesting to me. I need to create a days worth of food with various ingrendients the meet his caloric intake, vitamin and mineral needs, as well as fat and protein. Sodium, zinc, N3 fatty acid, N6 fatty acid, carbs, Pantothenic acid, the B vitamins, iron, calcium, A and C vitamins, and everything else has to be just right. It is right up my alley of interests. I have had a wonderful mom helping me along the way too, who has been there already. We will soon be the new owners of a Zippy Voyage stroller. “Come along and ride on a fantastic voyage, slide slide slippity-slide” runs through my head when I think about the stroller. It appears to have everything C needs for support, with room to grow and adjust. We have officially had C’s seizures controlled for 6 months now. This is very important for his progress. Seizures are nasty, and they can disrupt learning and really harm the brain. And finally, it is almost Spring time. We have been anxiously waiting for winter to end, and Spring to be in full bloom. We are hoping this will give C a reprieve from being sick almost every other week. Winter! It really hit us hard. Being sick takes its toll on C. It impacts everything, ie weight gain and progress. It takes him longer to get over a cold then the typical child. By the time he is over one, another is on the horizon. Jeff and I have probably never been sick so often, as we have this winter. C has yet to really discover his body and various body parts. He has discovered chewing on his hands. We are hoping he will start making more connections and we are trying to build those pathways in his brain. The above mentioned winter, has made it harder for us to really stay on schedule with therapy. Some of the different things we are focusing on right now is communication, movement, and always oral eating. We are confident C can understand some language, but he doesn’t have a way to communicate with us very effectively. We are trying out some different strategies right now to help him figure out how to communicate his needs. We are always encouraging C to move on his own and figure out he has body parts to help him with that. What we have yet to find a good motivator for him. We will continue the search. Chamberlain is such a happy kid. He gives us lots of laughs and smiles. He is amazing! 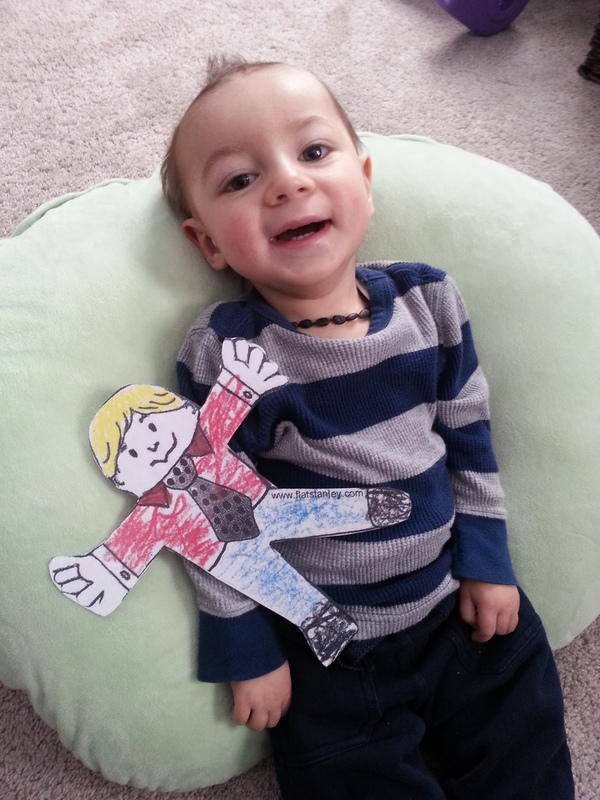 Here is a pic of C with Flat Stanley. We are participating in a school project for another little boy named Sean. Here is link to the Facebook group, https://www.facebook.com/groups/Seansflatstanleyproject/. Sean’s mom is part of the PMG Awareness group. 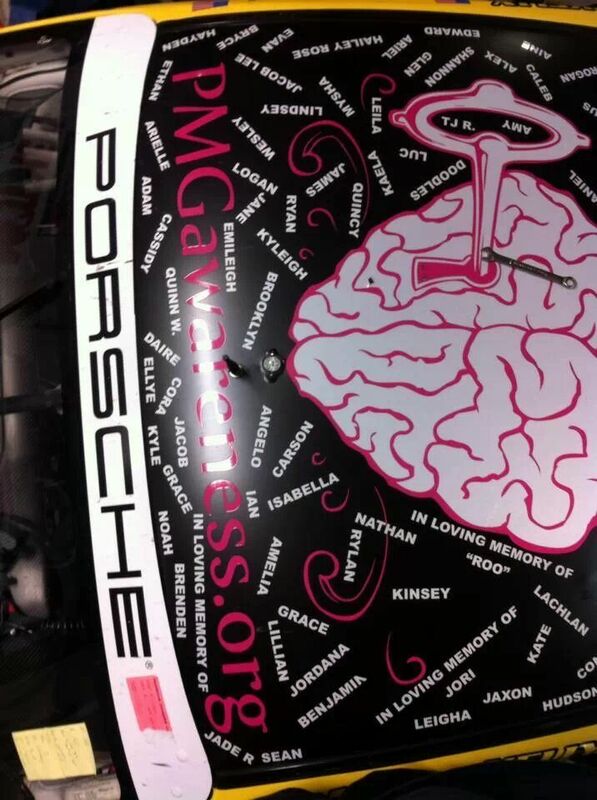 She has worked with TruSpeed Motorsports to get PMG kid’s names on a car. Here is their FB page, https://www.facebook.com/TruSpeedMotorsports. It is really cool. 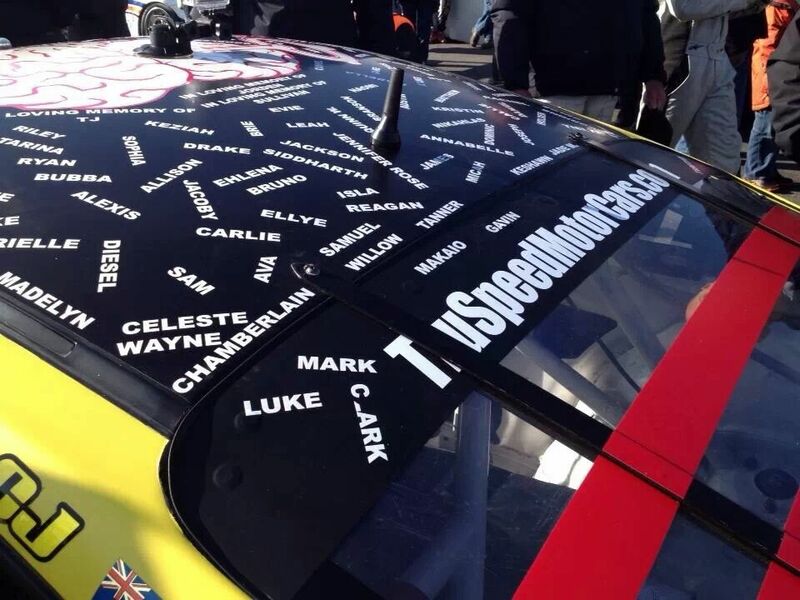 I have also attached a pic of C’s name on the car. His name is in the first photo, right by the window. I’m glad Spring is on the way too, and hope those cold viruses are on their way out! Very cool to see Chamie’s name on the race car 🙂 Yay for yummy food too! Jenna, You and Jeff are amazing parents and Chamberlain is a lucky little boy. I’m glad your winter is about over. Hopefully the colds etc. will quit for a long long time. Give Chamberlain a little kiss from his grandpa in Hawaii. Chamberlain looks so fun and happy in that picture!!!!! We hope the cold and respiratory junk season is over for Chamberlain (and everyone else) so we are safe to have a visit! Super-cool to see his name on a RACE CAR!!! Vrrrrooommm!!!! Wow, thanks for the update. He does look so happy….that’s the plus in the ‘good and the bad.’ Good healthy food is the way to go. Love the race car idea….can’t miss his name! It’s wonderful to see his progress and his smile….it always melts my heart.